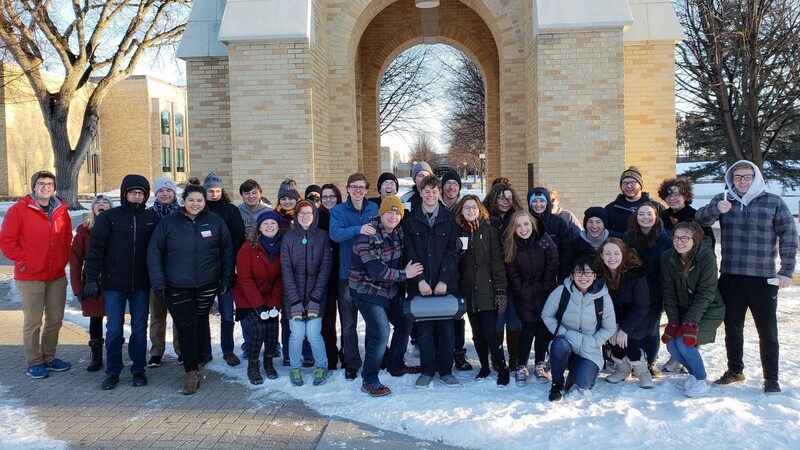 From hosting scavenger hunts to buying coffee for strangers, Concordia’s Cobbers in Action club aims to spread joy and kindness across the community. 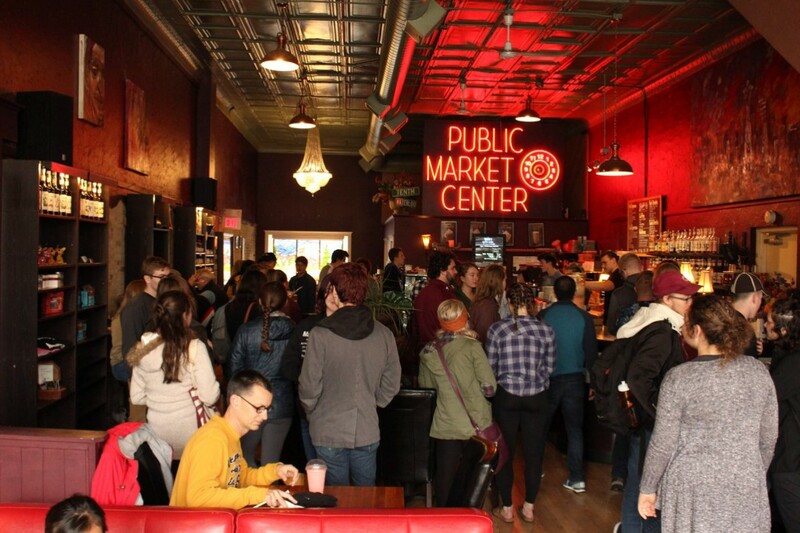 The new student organization hosted its third Coffee Buyout at Babb’s Coffee House in downtown Fargo this fall. Using funds members raise, the club buys coffee for everyone who comes through the doors. Often, recipients choose to pay it forward by donating the money they would’ve spent on their coffee to the featured charity. The chosen nonprofit organization benefiting from this buyout’s donations was Unseen, a local nonprofit that helps fight human trafficking worldwide. At this event, $1,200 of donations were given and approximately 240 people attended. The club has also sponsored a park cleanup event, partnered with local nonprofits, hosted compliment challenges, and created opportunities to recharge and connect. Sophomore Alex O’Connell created the club in January. We interviewed Alex to hear more on how Cobbers in Action developed. What is Cobbers in Action? Cobbers in Action is a club that dedicates itself to demonstrating intentional kindness. When we turn on the news, we often see things that break our hearts and that’s just the nature of the world. But you can remind the world of joy and the reasons to go outside every day. That’s what we do. What do Cobbers in Action do? We look for ideas, a mixture of small and medium scale. We know we are not going to change the world overnight. We aim to remind people that they’re valued. Sometimes it just takes a text message. One of my favorite activities that we do is when I ask a member to take out their phone and pull up a loved one. After that, I say, “Start a message with ‘I love you and …’” and I ask them to fill in the blank for me. We ask people to show up and be present and intentional about creating those simple moments of kindness. What prompted you to start Cobbers in Action? I lost a really close friend of mine a couple years back in the military. The result of that was that I felt a pull to remind people that were close to me, people in my unit, people who met him in his life, that there was still a reason to be happy. It was through losing him, and so many others in life, that I realized joy can be found in the saddest of moments. If we can feel sad, then we can also feel joy. What do you hope to accomplish with Cobbers in Action? We are working to equip people with the tools and capabilities to go back outside. Our goal is to show people that there’s something out there for you. There is something that you can do right now that’s going to lessen the burden for another person. And that’s a beautiful and responsible thing for you to do. When/Where can we find Cobbers in Action? We are a low commitment club and meet every Thursday at 8 p.m. in the Integrated Science Center, Room 301. This is a club you can take ownership of. If you want a club that’s going to text you reminders to do a kind act every week, we can handle that. So as long as you’re willing to be a thoughtful person, you not only have a seat reserved for you, but you have a group of friends waiting for you.